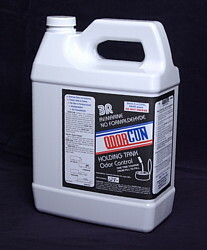 Odor-Con has a shelf life of about 1 year so please take that into account when ordering. Gallon container contains 128 treatments/60 gallon tank capacity. 4 ounce, pint size and quart size also available. 50 state shipping is $15. For orders that include other products, the shipping will be based on the combined weight of the total order and the least expensive shipping method will be used.